LELAND – Four days after Hurricane Florence made official landfall just north of here, Brunswick County Board of Commissioners Chairman Frank Williams set out to update his constituents in the state’s fastest-growing county. Floodwaters had washed out all routes between his house and the emergency services building in Bolivia, the county seat, so he went to Leland Town Hall to meet the small gathering of local reporters who could make it. 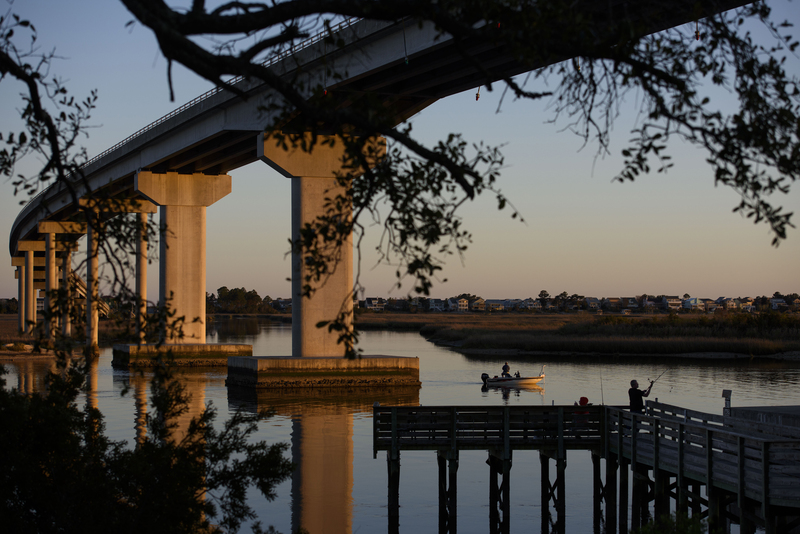 With a total area — combined land and water — of 1,049 square miles, Brunswick is the state’s fourth-largest county, stretching along the southeastern coast from the edge of Wilmington to the South Carolina line at Little River. It is also the fastest-growing, about 3 percent per year. Long distances and more people are a recipe that tests the limits of the county’s services in normal seasons — in a hurricane, it’s only more pronounced. Sheriff’s deputies and fire crews worked around the clock during Florence, conducting 50 swift-water rescues and blocking off countless roads where water might sweep cars away. U.S. Highway 17 is the transportation spine from one end to the other, and Florence flooded it at just about every point where it crosses a river or creek. A washout at Town Creek cut off Leland and the northern communities; one at Lockwood Folly River cut off the southern communities, leaving a big section around Bolivia in the middle. Within those larger chunks were smaller islands, disconnected from the rest of the state for days. A dam breached in the Boiling Spring Lakes community, and workers at a nuclear power plant in Southport were stranded for six days. Navigating disasters is part of the DNA of the wide-reaching county. Stories of the 1954 Hurricane Hazel, which came ashore as a Category 4 storm on a full-moon high tide and killed 12 people in Brunswick County, are still regular conversation starters in barbershops and salons. What’s different now, though, is the number of people. Since 2010, the population has jumped more than 20 percent to about 131,000 residents today. Demographers predict that it will be higher than 200,000 by 2037. The U.S. Census Bureau considers Brunswick part of the Myrtle Beach-Conway-North Myrtle Beach MSA, which is the second-fastest growing metropolitan statisitcal area in the United States. To put that in perspective, when Hazel hit in 1954, the county had about 19,000 people. Less than a century later, the climate is changing, hurricanes are more frequent, and Brunswick County will soon have 10 times the population. This makes Brunswick an outlier in Eastern North Carolina. Throughout the region, cash-strapped counties, beaten by floods and loss of industry in the past two decades, are losing people and seeing vital services such as hospitals close. 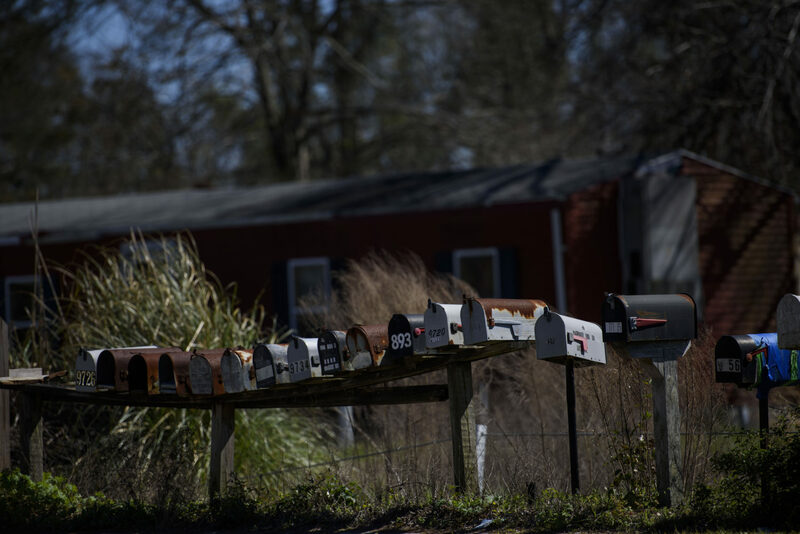 Drive through neighboring Bladen and Columbus counties, and you’ll see no shortage of abandoned homes and crumbling buildings; some towns, such as Fair Bluff in Columbus, have even been forced to consider whether it’s wise to rebuild at all after back-to-back blows from Matthew in 2016 and Florence in 2018. In Brunswick, though, residents can expect their home values to increase by an average of 10 percent during this year’s revaluation — less than a year since a hurricane cost the county $19.6 million in damage. 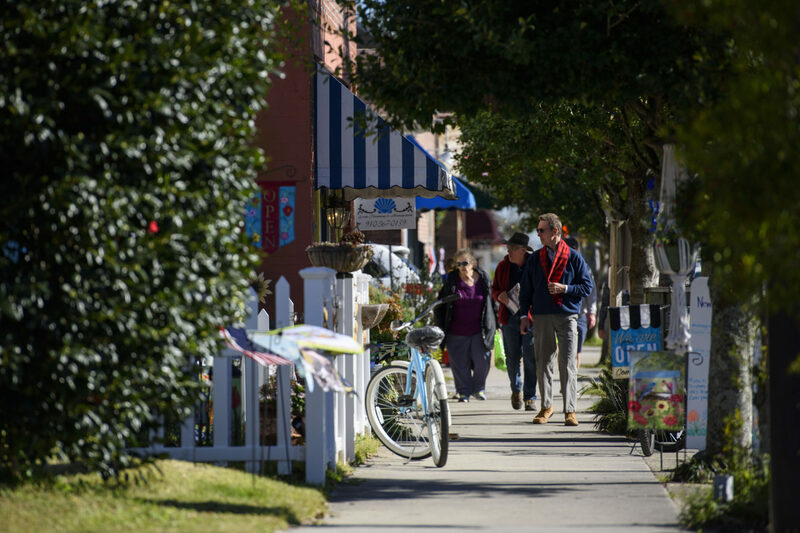 Nothing, it seems, can slow Brunswick County’s growth. One reason Brunswick County can handle the flow of people dates to a court case in 1994. That year, the school board believed the county commissioners were underfunding education. The schools sued and won. A jury awarded a $14 million settlement, far more than school officials had even asked for. Had the county paid that in full, the commission would have had no choice but to increase property taxes dramatically. But the two boards agreed to settle for much less — $1.35 million. A little goodwill went a long way. And after that agreement ended, in 1998, the two boards signed a new deal to devote 36.5 percent of property taxes to schools — while also setting aside any extra income in a reserve for school capital needs. That 36.5 percent agreement has been in place, with hardly any controversy, for over 20 years. Hardy was the school system’s assistant superintendent back then. Now that she manages the county side, she has a new appreciation for the agreement. Free of squabbles over school funding that plague other North Carolina counties, staff and elected leaders can devote time and resources to other needs, from its rapidly increasing retiree population to public safety. 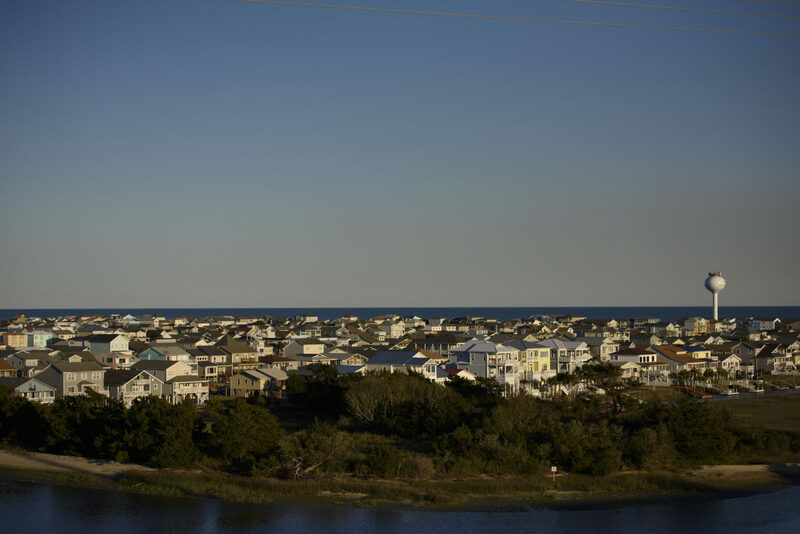 Throughout the rest of the county, though, most newcomers are retirees from the mid-Atlantic and Northeast regions, drawn to warmer climates, golf courses and the proximity to the county’s four barrier islands — Oak Island, Holden Beach, Ocean Isle Beach and Sunset Beach. More than half (53 percent) of Brunswick’s residents are from out of state, according to a recent study by Carolina Demography, a consulting service at the Carolina Population Center at UNC Chapel Hill. To keep up, the county has in the past few years established new senior centers in the northernmost and southernmost towns, Leland and Calabash. Nearly 3,000 combined residents are regular patrons. While aging communities in other Eastern North Carolina counties have seen their hospitals close in the past decade, Brunswick has added ambulances and two advanced life support stations. 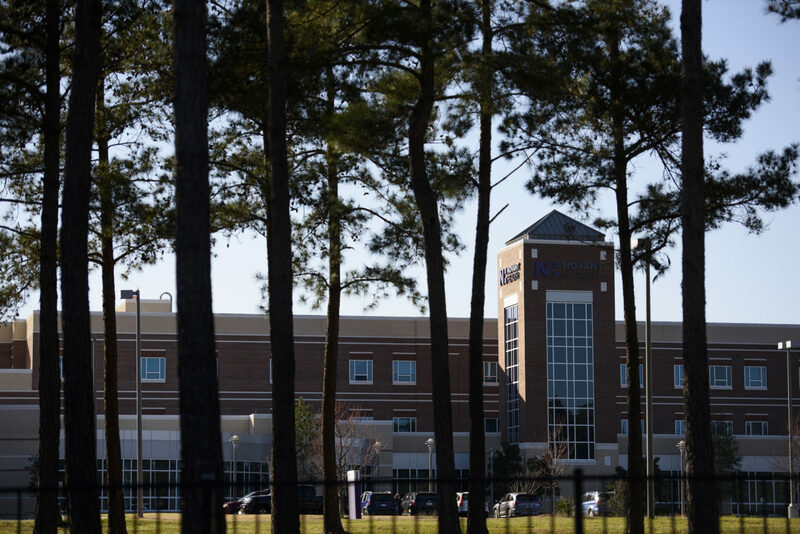 In 2006, Brunswick transferred its community hospital to Novant Health, which five years later opened a new $107 million medical center in Supply with a 24-hour emergency room and 74 acute-care beds. Brunswick leaders hope to see the old hospital turned into an addiction and rehabilitation center, which would help address the county’s biggest trouble. It was one of four North Carolina counties where the rate of opioid deaths jumped by 1,300 percent from 2010-16. In the past year, methamphetamine arrests have increased, too. The department’s new Anchor Initiative, in which addicts can contact the sheriff’s office and be put into a recovery program without being charged for the drugs in their possession, has become a model for other counties in southeastern North Carolina, including Bladen. All around the region are billboards with reminders for people to dispose of their unused prescriptions. And in a county where more than 30 percent of the population is over 65, there are plenty of prescriptions. Commissioners recently created a program that guarantees any graduate of the county’s high schools free tuition and books at Brunswick Community College. Students must apply for federal aid first, but the county covers the difference. The belief is that a better-educated population is a better-employed population and a less addicted population. The name was more than odd; it was another representation of the county’s dualities: newcomers and locals, fishing and farming, hurricane season and the rest of the year, Worms and Coffee. The store’s owners were a husband-and-wife pair named Mike and Carol Richards, who moved to Southport in 1993 while his company was undergoing layoffs in Raleigh. They bought the store, and he worked there nearly every day. He became known for catchphrases and quirks, including telling customers how much of a sale went to him and how much went “to the governor.” Mike died in 2015. A year later, the state wanted to widen 211 and made Carol an offer that suited her. Now, Worms and Coffee is gone, and immediately behind where it stood is a parking lot and shopping center that includes a Lowes Foods. For years, the county’s culinary reputation was built around Calabash fried shrimp. 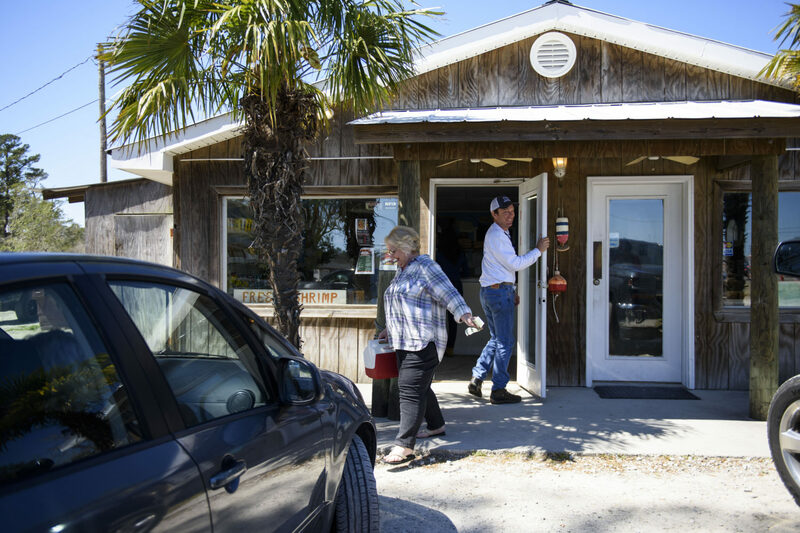 It’s still far from a healthy-food destination, but in the past decade restaurants such as Oyster Rock in Calabash and Fishy-Fishy in Southport have helped add local flavor, complementing the already popular Purple Onion Café in Shallotte. Breweries have followed. Grocery stores, too. A Publix opened in May 2018 in Ocean Isle Beach, just across the street from a Lowes Foods that opened in 2009. There’s no sign of slowing down. Since 1960, when the county made its first major commitments to contemporary infrastructure, the population has more than doubled every 30 years. The volume of home sales in the county was up 3.1 percent in 2018, and the average price was up 4.4 percent. It marked the second straight year that Brunswick topped $1 billion in total sales. All this would have been hard to fathom in 1954, when Hazel wiped out most of the homes on Brunswick County’s beaches. But a few forward-thinking investors bought the islands and divided them up into parcels. 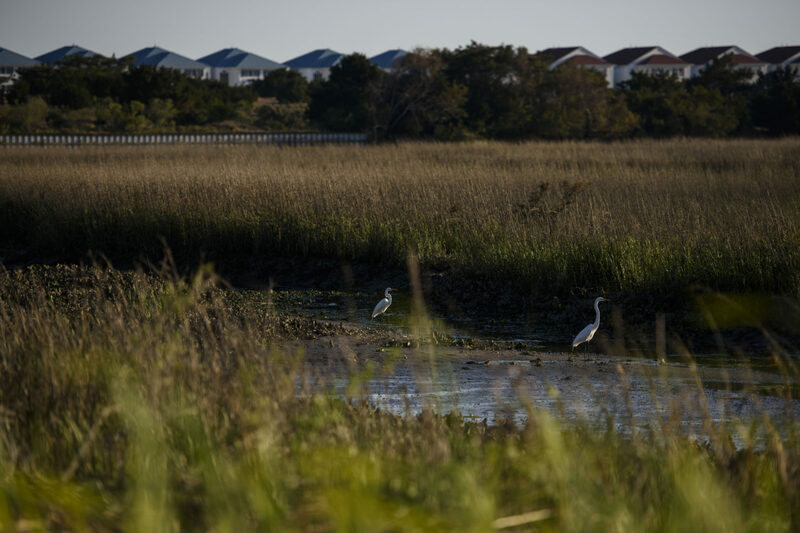 Now, as you cross the Intracoastal Waterway and onto Ocean Isle, or Holden, or Oak Island, or Sunset, all you can see along these strips of North Carolina’s coast are water, marshlands, and rooftops. Michael Graff is a contributing writer to Carolina Public Press. Email him at michaelngraff@gmail.com.